Our therapy dog, Molly is available to provide love, comfort and even puppy kisses to patients upon request. Scientific research has proven that the human ­animal bond has many medical advantages. Pet therapy relieves stress, lowers blood pressure, and increases the hormone oxytocin, which makes us feel happy and trusting. Molly plays an important role in meeting our primary goal of providing patients with optimal comfort care. People at the end of life can receive a great deal of comfort from the touch of petting an animal. Even people living with the final stages of dementia can feel positive validation through this touch. For Patients who have had animals or love animals, Molly provides the opportunity to reconnect to their enjoyable past experiences, including unconditional love. 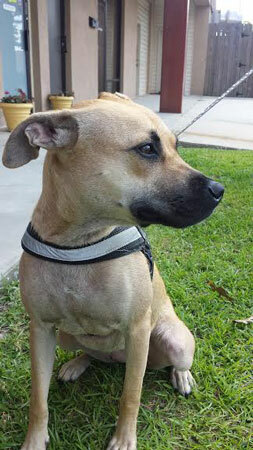 Molly is a rescue dog trained by Healing Species program who is sure to put a smile on your face and in your heart. Call us at 803‐536‐6644 for more information or to meet Molly!